WordSpace is honored to be a promotional partner of the 2015 Wildcatter Exchange Festival as well as sponsor of 2014 Pushcart Prize winner LaToya Watkins in a special appearance. Win-Win! Stay tuned for more info and updates. Set in West Texas, Watkins said she was inspired by the place her characters inhabited. “A lot of stories in West Texas are about big money and oil; black people often become marginal. I wanted to explore the black, matriarchal experience in West Texas since it’s a place that never saw slavery firsthand. It was a place with imported segregation; that separation wasn’t forced, but understood,” said Watkins, a doctoral student in aesthetic studies. She credits her UT Dallas professors for her success, particularly Dr. Clay Reynolds, director of creative writing. “I don’t think I would have become who I am as a writer without my teachers. I learned about character, plot, formatting a story. Each class built on the next while I found a voice,” Watkins said. Reynolds said the Pushcart Prize is among the top honors any of his students have ever received. “Ms. Watkins’ accomplishment is singularly remarkable, simply because a Pushcart Prize is just about the highestrecognition a short-fiction writer can achieve in the United States. They are highly coveted awards and their authors frequently go on to extraordinary publishing careers” . Watkins is no stranger to writing accolades. In 2012, she placed first in the Graduate Fiction category of the Texas Association of Creative Writing Teachers Student Competition. As she finishes her PhD, she said her most recent award motivates her to write something even greater. “It’s exciting to win this — I don’t know how I feel. It makes me feel like I have to perform. Now I have to do something more significant. There are many notable writers that started with the Pushcart, so winning pushes me,” Watkins said. 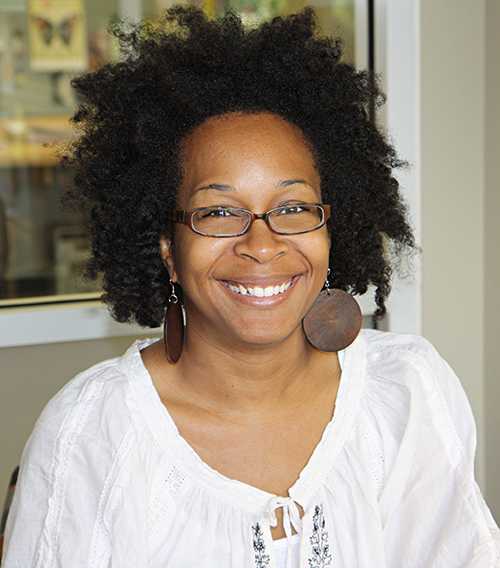 LaToya Watkins is a doctoral candidate at the University of Texas at Dallas and a professor of English at Collin College. Her stories have appeared in online and print publications, including Joyland Magazine, Lunch Ticket: Antioch, Los Angeles, Kweli Journal, Ruminate Magazine, and Potomac Review. She is a Kimbilio Fiction Center fellow and was recently awarded a 2015 Pushcart Prize for short fiction. LaToya resides in Texas with her family. Fort Worth has long been home to the wildcatter spirit. Pioneers pushed further into the frontier, either by society or a restless nature. Cowboys and cattlemen arrived forging trails through uncharted prairies. Finally, the oilmen came with little more than instinct and guts to pull riches from beneath the sod. That same wildcatter spirit throughout the region made its mark across the gamut of the arts. The influential Circle Artists; the classical ambassadorship of Van Cliburn; all sprung from Fort Worth, including Ornette Coleman, Ronald Shannon Jackson and other Jazz legends from I.M. Terrell High School. One might reckon Fort Worth would also have an important role in the literary landscape of Texas. Dating back to the 19th century Ranch Stories of Harry Halsell, writers of all varieties have haunted the streets of Fort Worth. An event has arrived for Fort Worth to honor this literary past and edify future storytellers, celebrating the rich fabric of voices spread across Texas. The wildcatter’s draw has always been speculation based on the belief in a better future just around the bend. Storytelling is a shared experience and The Wildcatter Exchange offers the opportunity to interact with creators and the creative spirit. For its inaugural event, The Wildcatter Exchange honored a legendary group of writers collectively know as Mad Dog Inc. With a core of Bud Shrake, Gary Cartwright, Dan Jenkins, Billie Lee Brammer, Larry L. King and Pete Gent, inducted a horde of talented folks in their mission of “Doing Indefinable Services to Mankind.” Members ranged from Warren Oates to Willie and Jerry Jeff, and even included future Governor Ann Richards. Click here to Like Wildcatter Exchange on FaceBook. Sign up for Wildcatter Exchange updates! Mary Helen Specht was born and raised in Abilene, Texas. She has a B.A. in English from Rice University and an M.F.A. in creative writing from Emerson College, where she won the department’s fiction award. Her writing has been nominated for multiple Pushcart Prizes and has appeared in numerous publications, including: The New York Times; The Colorado Review; Prairie Schooner; Michigan Quarterly Review; The Southwest Review; Florida Review; Southwestern American Literature; World Literature Today; Blue Mesa; Hunger Mountain; Bookslut; The Texas Observer; and Night Train, where she won the Richard Yates Short Story Award. A past Fulbright Scholar to Nigeria and Dobie-Paisano Writing Fellow, Specht teaches creative writing at St. Edward’s University in Austin, Texas.